Looking for parts, manuals, servicing issues, warranty information? We’ve got you covered. Still have questions? Representatives can be reached via email at Customer Support during normal working hours: M-F 8AM-4PM EST. 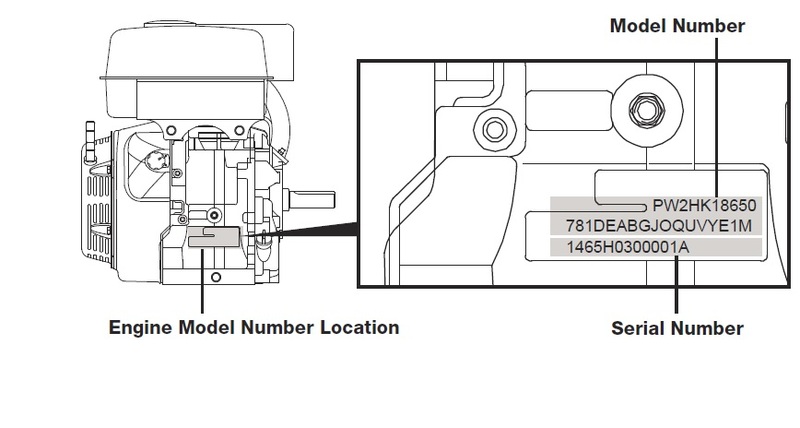 See diagram to locate the engine model number which will start with a ‘LMH’, ‘PLMH’, or ‘PW’. DO NOT use a dash (-) or space in your model number.